If you have checked out the marketing campaign for the Kia Niro, you may have noticed there is something missing. What's missing? The fact that the Niro is Kia's first dedicated hybrid vehicle. This is true in all of the ads that Kia is doing with the Niro? Why omit possibly one of the key selling points? “We could go down that path, but we’ve chosen to go in another direction. 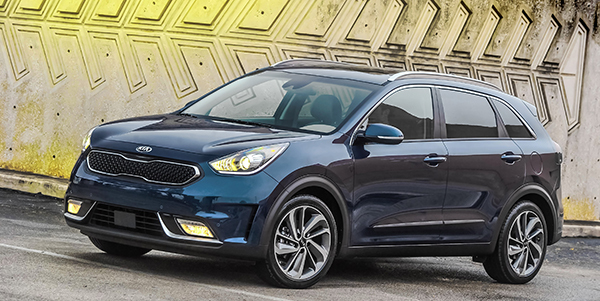 If you look at where customer interests are going, they’re certainly moving out of the car segments and into the crossover segments, and in particular compacts and subcompacts,” said Steve Carter, Kia’s marketing director in Canada to AutoGuide. But that doesn't fully explain this decision. There has to be more to it. Carter explained that while Kia isn't afraid to tout the hybrid part of the Niro, they want to avoid the negative connotations these vehicles still carry - an example being possible buyers not trusting electrification of a vehicle, no matter how mild it is. Not helping matters are the low gas prices. “We think that we don’t have to play up the hybrid characteristics, because if you look at fuel economy for a (crossover) buyer it’s not No. 1 on the list. People are looking for value for money, reliability and dependability, styling, and storage capacity — and then there’s fuel economy,” said Carter.